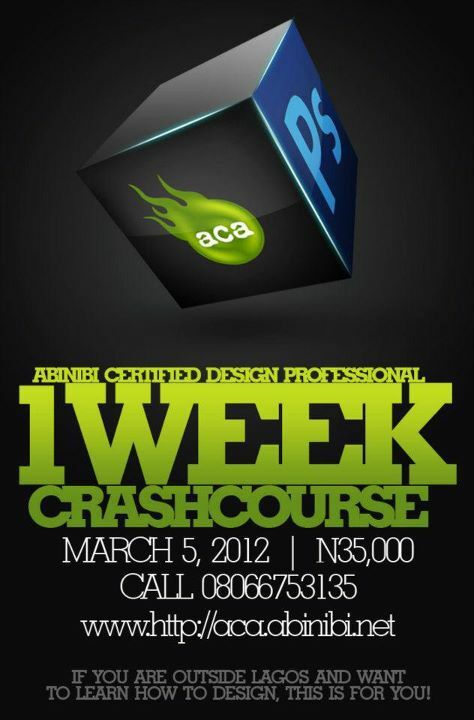 If you are outside Lagos and you can only squeeze One week to be outside your current location and you seriously want to learn DESIGN using Adobe Photoshop CS5 then this course is for you. 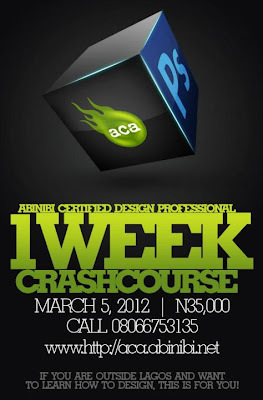 The course syllabus combines the regular ACDP syllabus but fitted into a 5 day program. The classes would last 3 hours daily (12 – 3) Monday to Friday. BBPIN: 25F62026 — in Lagos, Nigeria.